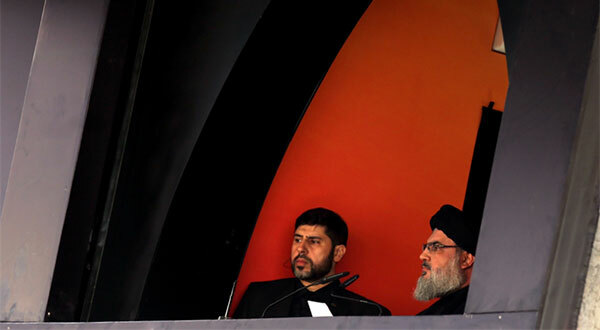 In his last electoral speech addressing the people of the Bekaa [a few days ago], Hezbollah Secretary General Sayyed Hassan Nasrallah was eager to inject political momentum into the electoral battle, focusing on what awaits Lebanon and the region on May 6th. He thanked everyone who contributed to his detracting from the risk of appearing personally at the Bekaa to urge people to vote and participate. It is the Bekaa where Sayyed spent a great deal of his life. The young man who studied in a Hawza [seminary] and who was running away from the regime of Saddam Hussein did not feel estranged in that city. He did not sense any difference between his family home in the Southern village of Bazuria, which he left at the age of fifteen, and his new residence in the Sheikh Habib neighborhood in the city of Baalbek. With his thick glasses, heavy beard and slim figure he snuck into people’s hearts here. Soon whispers of the “Sayyed Hassan”, the political leader of the Amal Movement in the Bekaa, will spread throughout the city of the sun. This was at the end of the 1970s. Because he was the Imam of communal prayers in the Imam Ali Mosque in the neighborhood of Sheikh Habib, his knowledge of Bekaa and its people expanded. The close proximity of the mosque to the Imam al-Montathar Hawza, founded by his mentor Sayyed Abbas al-Musawi, as well as the latter’s care for him made Sayyed Hassan more connected to the people. He transformed from being a preacher introducing people to the revolutionary Islamic movement to being one of them. He shared their concerns, rooted in their habits, and roamed through their markets. There, he was blessed with his two children Jawad and Zainab. With the “Israeli” invasion of Lebanon in 1982 and the arrival of elements of the Islamic Republic of Iran’s Revolutionary Guard Corps in coordination with Sayyed Abbas al-Musawi, the first features of what will later become known as Hezbollah was formed. In this context, Sayyed Hasan was able to attract people and mobilize them. He was the first to call [for resistance]. He would stand in the first row at times. At other times he would be standing on the “pick up” truck. He moved from town to town. He got to know them as they got to know him. He knew the tribes and families as they knew him. He moved from Hawsh al-Sayyed Ali to al-Karak and from Shmustra to Younine until his dialect became mixed with words from Baalbek because it was affected by his mingling with the people of that region. His goal was to encourage people to participate in military courses to learn how to bear arms to resist “Israel”. However, he did not forget his role as a preacher whether in Imam al-Montathar Hawza or among the people. During the month of Ramadan, the young Sayyed gave up all his work and headed towards the areas of the al-Jaafar clan in Faysan, Joura Qaddur, Ruwaymah and others. These were remote areas and very difficult to reach. Sayyed used to free himself to teach them the provisions of religion. The people around him sensed two aspects of his personality that will accompany him along his path: his astounding patience and his anticipation of the future. He used to say those would one day become the backbone of the rising resistance. Hezbollah’s formations went public. Sayyed became responsible for the Bekaa region and, in parallel, the Friday Prayers Imam in the town of al-Nabi Sheeth. His work began to take an organizational direction. He followed-up, examined the details, especially the ones related to the military courses and those enrolling from the first day until graduation. He put himself at their disposal as a permanent instructor giving political and doctrinal lessons at the Janta camp. 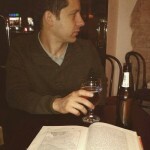 At the same time, he was not disconnected from Beirut or the South. He was a member of the party’s Shura Council before moving to Beirut in 1985 to become the head of Hezbollah’s Executive Council and then the top official in Southern Lebanon. Despite all this, he always remained present in the Bekaa. His home remained open, and he maintained a direct presence, especially at major events such as al-Quds International Day. With the martyrdom of Sayyed Abbas al-Musawi and his assumption of the General Secretariat, the Islamic Resistance moved to another pattern. He remained present in the field in the Bekaa during graduations following the completion of military courses or in gathering the cadres and emphasizing the importance of the role of the region in resisting the occupation. The occupied Western Bekaa axis belonged to the Bekaa region. Therefore, he was deliberately present at every qualitative or sensitive operation and would delve into the most precise details. The martyrs in the Bekaa and their families had the largest share of his interest. He took part in funeral processions. He was a speaker at the wakes. He was a celebrant of one of the sons and daughters [of the martyrs’ families]. If the circumstances demanded a postponement of the visit, the visit was never left uncompleted. Most houses in the Bekaa keep commemorative photos taken in person with “His Eminence Sayyed”. In 1997, during the so-called “Revolution of the Hungry”, Sayyed’s recommendations to the people were to endure, assimilate and not to be drawn into any friction. When asked why, he used put the interest of the Bekaa, its people and its tribes before the organizational interest. People were always the key. They met Sayyed in the middle of the road. They invited him to their villages and homes to renew their allegiance. So, he went to Hermel, Shmustar, Tarayah, Bednayel, Shaath and other areas. “His Eminence Sayyed’s” influence was above any consideration, blood and revenge. Any friction between any two clans was solved with a visit from a cadre of Hezbollah carrying the following message: “His Eminence, Sayyed, greets you”. In that year, the martyrdom of Sayyed Hadi Nasrallah brought sadness to every house in the Bekaa. The Husayniyahs and the houses of mourning were opened to accept condolences for the young man who grew up among them. Some of them still remember him today as a child in the company of his father and his brother Jawad in a Mercedes. The 2000 liberation resonated stronger in the Bekaa than in the South. As usual, Sayyed envisioned the next stage in preparation for a war with the enemy. He intensified his tours with the leader, Hajj Imad Mughniyeh, in the region to view the specialized courses. He opened some of them and graduated others. He was also informed in detail of the military readiness of the different units. During the July 2006 war, the commander of the resistance was not disconnected from the Bekaa. During the war, he carefully followed-up on the function of the various apparatuses. After it, he followed-up on everything related to the martyrs and reconstruction. The year 2011 formed a new and important post in the Bekaa. The movement of militants in Syria would soon become an escalating threat on the eastern border of Lebanon. During the beginning of 2012, the terrorist factions started violations on the other side of the border until the city of Qusayr fell into the hands of the militants. Attacks were unleashed around 30 thousand Lebanese residing in Syrian villages. The Secretary General of Hezbollah sent for the concerned parties and held a detailed meeting to assess the situation. He was as keen on the Bekaa and its people as he was with the national sovereignty of Lebanon, which was being threatened along its eastern frontier. The decision was purely defensive. It was based on the cooperation with the Lebanese people in the threatened villages to arm, train and organize them as needed to defend their land. But his main purpose was to form committees responsible for relations and reconciliations and to avoid friction. He requested that the door be open to humanitarian situations even if it concerned the militants. He asked that aid and medical assistance be presented and deliveries be permitted. He requested that civilians be separated from terrorists. He also recommended activating the presence of Hezbollah and its cadres among the people due to the sensitivity of the matter. He did not want to test their patience towards the violations of Takfiri terrorism. During that period, Sayyed’s follow-up was almost daily. He first asked about the people, families and clans. And then came work. As the threat escalated in 2013 and the fire extended to more villages in Hermel and other areas, he took the decision to move from defense mode to deterrence mode and clear the villages of West Assi and rural Qusayr. As the battle of Qusayr approached, Sayyed was present in person. He met with the military leadership and Saraya [Lebanese Resistance Brigades] officials. He listened to a detailed explanation of the situation on the ground and gave his remarks. He explained to them the battle with all its dimensions and demonstrated its importance in the protection of the Bekaa, its people and its villages. After Qusayr, as the Takfiri factions moved to the villages of Qalamoun and its outskirts, they resorted to suicide bombings in the villages and towns of Bekaa. He continued to follow-up with the situation closely “as if he was in the operation room in the Bekaa”, according to those with him, until the first battles of Qalamoun were concluded. Following these battles, the Nusra Front concentrated its terror on the outskirts of the Lebanese villages. It continued sending car bombs and launching rockets towards the villages of Bekaa and attacking Hezbollah positions. The most notable of which was Ein Saah in the outskirts of Britel, where eight fighters were martyred. A while later, the military leadership in the Bekaa convened to assess the situation and study the options. There was a knock on the door. The Secretary General in person was there in a black military uniform. Everyone was surprised by his presence. He asked them for a detailed explanation of the situation. He then gave his instructions that it was settled: “We must eliminate all terrorist threats on the eastern border.” The surprise was greatest when he asked to inspect the field. Sayyed toured all the points of contact as well as the main axes and observatories. At some positions, the fighters did not expect Sayyed’s visit. As a result, many wondered about the “big resemblance” between Sayyed and this “visiting leader”. At the Ras al-Harf hilltop, he got out of the car and walked towards the first barrier. Those accompanying him feared that the car would be hit by a guided missile. But he insisted on completing the tour. He asked that fortifications be enabled, ambushes be activated, crossings be blocked and the defense plans be secured. This tour, paradoxically, took place in the midst of intense “Israeli” air activity. When he arrived to an area overlooking Ein Saah, he was keen to know the details of “how the brothers were martyred”. At the last position, field officials told him about the rough terrain. Sayyed replied: “I’m comfortable. This is easy for our men.” His phrase reflected the reassurance of victory. During that tour, Sayyed actually put the finishing touches on the upcoming battles on the outskirts. He did not stop following-up, especially during the snow season. He maintained daily contact during every storm and asked about the situation of the brothers, the supplies and the routes. In some of the communications, he would refer to the positions by their names to be more reassuring. Later, in the spring of 2015, the first stage of liberating the outskirts took place. It was followed by the second phase in the summer of 2017. In August 28, 2017, the Bekaa witnessed the second liberation celebration. Sayyed was unable to attend in person as he wished. He apologized sorrowfully. The same way he wished to attend the Loyalty to Land celebration in Baalbek the day before yesterday. في خطابه الانتخابي الأخير الموجّه إلى أبناء البقاع، أول من أمس، بدا الأمين العام لحزب الله السيد حسن نصرالله حريصاً على إعطاء زخم سياسي كبير للمعركة الانتخابية، ربطاً بما ينتظر لبنان والمنطقة من استحقاقات، غداة السادس من أيار المقبل، وهو شَكَر كل من ساهم في ثنيه عن مخاطرة نزوله شخصياً إلى البقاع لحثّ الناس على التصويت والمشاركة. البقاع الذي قضى «السيد» فيه ردحاً كبيراً من عمره. لم يشعر الشاب الحوزوي الهارب من نظام صدام حسين بغربته في تلك المدينة. لم يلمس فارقاً بين منزل العائلة في البازورية الجنوبية التي خرج منها في سن الخامسة عشرة ومحل إقامته الجديد في حي الشيخ حبيب في مدينة بعلبك. بنظاراته السميكة ولحيته الكثّة وجسده النحيل سيتسلّل إلى القلوب هنا، وسرعان ما سيبدأ الهمس في مدينة الشمس باسم «السيد حسن»، المسؤول السياسي لحركة أمل في البقاع. كان ذلك في نهاية سبعينيات القرن الماضي. إماماً للجماعة في مسجد الإمام علي في حي الشيخ حبيب، توسعت معرفته بالبقاع وأهله. التصاق المسجد بحوزة الامام المنتظر التي أسّسها أستاذه السيد عباس الموسوي، ورعاية الأخير له، جعلاه أكثر التصاقاً بالناس. انتقل من حوزوي واعظ يعرّف الناس بالإسلام الحركي الثوري، إلى واحد منهم، يتشارك همومهم، يتأصل في عاداتهم، ويجول في أسواقهم. وهناك، رُزق بولديه جواد وزينب. مع الاجتياح الإسرائيلي للبنان عام 1982، وقدوم عناصر من الحرس الثوري من الجمهورية الاسلامية في إيران، بالتنسيق مع السيد عباس الموسوي، تشكّلت الملامح الأولى لما سيعرف لاحقاً باسم حزب الله. وفي هذا الاطار، تألّق «السيد حسن» في استقطاب الناس وتحشيدهم في كل المفاصل: أول الهاتفين، والواقف في الصف الأول أمام الجموع تارة أو على « البيك آب» تارة أخرى. تنقل في كل البلدات فعرفها وعرفته، وحفظ العشائر والعائلات وحفظته، من القصر وحوش السيد علي إلى الكرك، ومن شمسطار إلى يونين، حتى داخلت لهجته ألفاظاً بعلبكية تأثراً باختلاطه بناس تلك المنطقة. كان هدفه حثّ الناس على المشاركة في الدورات العسكرية للتعلم على حمل السلاح لمقاومة إسرائيل، من دون أن يغفل دوره التبليغي، سواء في حوزة الامام المنتظر أو بين الناس. في شهر رمضان، كان السيد الشاب يتخلّى عن كل مشاغله، وينطلق نحو مناطق عشيرة آل جعفر في فيسان وجورة قدور والرويمة وغيرها، وهي مناطق نائية كان الانتقال اليها شديد الصعوبة، مفرّغاً وقته لتعليمهم أحكام الدين. عكس ذلك لدى المحيطين به بعدين في شخصيته سيرافقانه طيلة مسيرته: صبره المذهل واستشرافه للمستقبل، حين كان يقول إن هؤلاء سيصبحون يوماً سند المقاومة الصاعدة. خرجت تشكيلات حزب الله إلى العلن، وبات السيد مسؤولاً لمنطقة البقاع، وبالتزامن، إمام الجمعة في بلدة النبي شيت. بدأ عمله يأخذ منحى تنظيمياً: يتابع، يدقق في التفاصيل، لا سيما المتعلقة بالدورات العسكرية والملتحقين بها منذ أول يوم حتى التخرّج، ووضع نفسه في تصرّفهم كمدرّب دائم يعطي الدروس السياسية والعقائدية في معسكر جنتا. في الآن نفسه، لم ينقطع عن بيروت ولا عن الجنوب، إذ كان عضو شورى قرار في الحزب، قبل أن ينتقل عام 1985 إلى بيروت متولياً منصب المسؤول التنفيذي العام لحزب الله، وبعدها مسؤولاً لمنطقة الجنوب. مع ذلك، بقي حاضراً دائماً في البقاع، وبقي منزله هناك مفتوحاً، واستمر حضوره المباشر، لا سيما في المناسبات الكبرى، كيوم القدس العالمي. مع استشهاد السيد عباس الموسوي وتوليه الأمانة العامة، انتقلت المقاومة الإسلامية الى نمط آخر واستحقاقات أخرى. بقي حاضراً «ميدانياً» في البقاع، في تخريج الدورات أو في جمع الكوادر والتشديد على محورية دور المنطقة في مقاومة الاحتلال، إذ كان محور البقاع الغربي المحتل تابعاً لمنطقة البقاع. لذلك، كان يتعمّد الحضور عند كل عملية نوعية أو حساسة، ويدخل في أدق جزئياتها. وكان للشهداء في البقاع وعوائلهم الحصة الأكبر من اهتمامه، مشاركاً في تشييع أو خطيباً في أسبوع أو عاقداً قران أحد الأبناء أو البنات. وإذا ما حتّمت الظروف تأجيل الزيارة، فإنها لم تحل يوماً دون إتمامها، حتى إن معظم البيوت البقاعية تحتفظ بصور تذكارية شخصية مع «سماحة السيد». عام 1997، إبّان ما سمّي «ثورة الجياع»، كانت توصياته تقضي بالتحمّل والاستيعاب وعدم الانجرار الى أيّ احتكاك. ولدى سؤاله عن السبب، كان يقدّم مصلحة البقاع وناسه وعشائره على المصلحة التنظيمية. الناس كانوا دائماً هم المفتاح. وهم لاقوا السيد في منتصف الطريق، فبادروا بدعوته الى قراهم وبيوتهم لتجديد الولاء، فجال في الهرمل وشمسطار وطاريا وبدنايل وشعث وغيرها. كان أثر «سماحة السيد» فوق أي اعتبار، وفوق الدم والثأر. فبات أي احتكاك بين عشيرتين يُحل بزيارة من كادر في حزب الله حاملاً الرسالة الآتية: «بسلّم عليكن سماحة السيد». في ذلك العام، أدخل استشهاد السيد هادي نصرالله الحزن إلى كل دار في البقاع. فتحت الحسينيات والبيوت للعزاء بالشاب الذي ترعرع بينهم، ولا يزال بعضهم الى اليوم يذكره صغيراً مع والده وأخيه جواد في سيارة المرسيدس «اللفّ». تحرير عام 2000 كان صداه في البقاع أقوى من الجنوب. كعادته، استشرف السيد المرحلة المقبلة، استعداداً لحرب يراها واقعة مع العدو، فكثّف جولاته مع القائد الحاج عماد مغنية في المنطقة للاطلاع على الدورات التخصصية، مفتتحاً بعضها وراعياً تخريج بعضها الآخر، ومطّلعاً اطّلاعاً تفصيلياً على الجاهزية العسكرية للوحدات المختلفة. في حرب تموز 2006، لم ينقطع قائد المقاومة عن البقاع، سواء خلال الحرب من خلال المتابعة الدقيقة لسير عمل الأجهزة المختلفة، أو بعدها بمتابعة كل ما يتعلق بالشهداء وإعادة الاعمار. عام 2011 شكّل محطة مفصلية جديدة بقاعاً. الحراك في سوريا سرعان ما سيصبح تهديداً متصاعداً على الحدود الشرقية للبنان. مطلع 2012 بدأت تجاوزات الفصائل الارهابية على الجانب الآخر من الحدود، إلى أن سقطت مدينة القصير في أيدي المسلحين، وبدأت الاعتداءات على نحو 30 ألف لبناني يقيمون في قرى سوريّة. أرسل الأمين العام لحزب الله بطلب المعنيين، وعقد معهم اجتماعاً تفصيلياً لتقييم الوضع. كان حريصاً على البقاع وأهله بنفس درجة الحرص على السيادة الوطنية للبنان المهدد بحدوده الشرقية. كان القرار دفاعياً يقتصر على التعاون مع اللبنانيين في القرى المهددة لتسليحهم وتدريبهم وتشكيلهم بحسب الحاجة للدفاع عن أراضيهم، لكن الأصل لديه كان تشكيل لجان علاقات ومصالحات وتجنّب الاحتكاك، موصياً بفتح الباب امام الحالات الإنسانية حتى للمسلحين، وتقديم المساعدة والطبابة وتسهيل دخول الولادات، والفصل بين المدنيين والإرهابيين. وفي الموازاة، أوصى بتفعيل حضور حزب الله وكوادره بين الناس لحساسية الأمر، فهو لا يريد أن يضعهم في اختبار صبر جراء تجاوزات الإرهاب التكفيري. في تلك الفترة، كانت متابعة السيد شبه يومية، يسأل فيها أولاً عن الناس والعائلات والعشائر، وبعدها يأتي العمل. مع تصاعد التهديد عام 2013، وتوسيع دائرة النار إلى قرى الهرمل وغيرها، اتخذ القرار بالانتقال من الدفاع الى الردع، وتنظيف قرى غرب العاصي وريف القصير. مع اقتراب معركة القصير، حضر السيد بشخصه. اجتمع بالقيادة العسكرية وبمسؤولي السرايا واستمع الى شرح مفصل عن الوضع الميداني وأبدى ملاحظاته، شارحاً لهم المعركة بأبعادها كافة، ومبيّناً أهميتها في حماية البقاع وأهله وقراه. بعد القصير لجأت الفصائل التكفيرية، مع انتقالها الى قرى القلمون وجرودها والسلسلة الشرقية، الى التفجيرات الانتحارية في القرى والبلدات البقاعية. بقي متابعاً لصيقاً للوضع و«كأنه كان موجوداً في غرفة العمليات في البقاع»، بحسب المطلعين، حتى حسم معارك القلمون الأولى. إثر تلك المعارك، ركزت «جبهة النصرة» إرهابها على جرود القرى اللبنانية، واستمرت في إرسال السيارات المفخخة وإطلاق الصواريخ في اتجاه قرى البقاع ومهاجمة مواقع حزب الله، وأبرزها موقع عين ساعة في جرد بريتال حيث استشهد ثمانية مقاتلين. بعدها بفترة، التأمت القيادة العسكرية في البقاع لتقييم الأوضاع ودراسة الخيارات. طُرق الباب. كان الأمين العام شخصياً يرتدي بزة عسكرية سوداء ولفحة التعبئة. فوجئ الجميع بحضوره. طلب منهم شرحاً مفصّلاً عن الأوضاع ، وأعطى توجيهاته بأن الأمر بات محسوماً: «لا بد من القضاء على كل التهديد الإرهابي على الحدود الشرقية». المفاجأة كانت أكبر عندما طلب القيام بجولة ميدانية تفقدية. جال السيد على كل نقاط التماس والمحاور والمراصد الأساسية. في بعض النقاط لم يتوقع المرابطون هناك زيارة السيد، لذلك كان كثيرون يسألون عن حجم «الشبه الكبير» بين السيد وهذا «القيادي الزائر»! في مرتفع رأس الحرف، ترجّل من السيارة وسار الى الساتر الأول. كان من معه يخشون تعرّض السيارة لرماية صاروخ موجّه، لكنه أصرّ على إكمال الجولة، وطلب تمكين التحصينات وتفعيل الكمائن وسدّ المعابر وإحكام الخطط الدفاعية. هذه الجولة، للمفارقة، حصلت في ذروة نشاط جوي إسرائيلي. عند وصوله إلى منطقة مشرفة على عين ساعة، حرص على معرفة تفاصيل «كيف استشهد الإخوان». في آخر نقطة، حدّثه المسؤولون الميدانيون عن التضاريس القاسية، فردّ السيد: «أنا مرتاح. هيدي هينة على شبابنا». عكست عبارته اطمئناناً للنصر. في تلك الجولة، وضع السيد فعلياً آخر اللمسات على معارك الجرود القادمة، ولم يتوقف عن المتابعة، لا سيما في فصل الثلوج، فدأب على الاتصال اليومي عند كل عاصفة والسؤال عن وضع الإخوة والتموين والمسالك. في بعض الاتصالات كان يسمّي النقاط بأسمائها للاطمئنان أكثر. لاحقاً، في ربيع 2015، حصلت المرحلة الأولى من تحرير الجرود، لتتبعها المرحلة الثانية صيف عام 2017، في 28 آب 2017 كان البقاع على موعد مع احتفال التحرير الثاني. لم يتمكّن السيد من الحضور الشخصي، كما كان يرغب، فاعتذر بحسرة، تماماً كما كان يرغب، وبشدّة، في حضور احتفال يوم الوفاء للأرض، في بعلبك أول من أمس. Interview between military and geopolitical analyst Izat Charkatli and Andrew Illingworth, founder of the OZ Analysis military analysis media project. The interview represents a complete summary of the successful al-Qusayr operation carried out by Syrian Arab Army and Hezbollah against Jabhat al-Nusra and the Free Syrian Army in the late-spring of 2013. The pro-government victory prevented the territorial breakup of western Syria by rebel forces and the physical isolation of Damascus city from the Syrian mainland. (v.) the strategic outcome of the battle. Detailed motion maps of the battle and original footage are provided within the video to illustrate the analysis. Additional commentary is made on the rise of ISIS in Southwest Asia and the future political decisions the Damascus government will have make in order to consolidate its military victories and ensure the long-term reconciliation of Syria’s ethnic and sectarian issues. أعترف ان ماأنجزته تكنولوجيا الايديولوجيا في مخابر الموساد وال سي آي ايه كان باهرا في أن ينقل العقل العربي في خلال سنوات قليلة من عقل عدو الى عقل خادم للموساد ومشاريع الغرب ..
تكنولوجيا الايديولوجيا الرهيبة حولت النصر الالهي لحزب الله الى غضب الهي على المسلمين عندما صار العرب والمسلمون لايرون في ذلك الانتصار انجازا لهم بل انجازا لايران .. و”للشيعة “.. حتى بعض الفلسطينيين الذين لاتزال سكين اسرائيل على أعناقهم نسوا اعناقهم النازفة ونسوا السكين وصاروا مقلاعا بيد داود ليقتل به صاحب النصر الالهي وحلفاءه ..
واعترف أكثر أن حقن كل التراث في جرعة واحدة مكثفة قدرها خمس سنوات لاشك سيجعل عملية التخلص من سموم التراث غير المنقّى في العقل والقلب عملية تشبه التلوث باليورانيوم والمواد المشعة لاتزول آثارها الا بعد مئات السنين .. فالتراث الروحاني دوما عميق في أعماق التاريخ وهو مثل العناصر الكيماوية المشعة تبقى متوهجة شعاعيا ولاتنطفئ .. وتعيش آلاف السنين .. والتراث الديني يستحق أن يسمى يورانيوم التاريخ لقدرته على البقاء كعنصر مشع لايخمد ..
ونحن كجيل حل به هذا البلاء الذي استخرجته ورشات وحفارات السلفيين من بين رمال الصحراء لايجب أن نترك هذا اليورانيوم الذي تسرب ولوث المياه والتربة وستسقى منه الخلايا .. لايجب ان نتركه هائما على سطح الأرض فاما اما ندفنه من جديد في الأعماق أو نبطل مفعوله ..
كيف نوقف التسرب الاشعاعي المذهبي؟؟ هل نوقفه بتدمير السعودية التي تضرب على هذا المفاعل كي ينفجر وينفجر معه الشرق كله؟؟ أم نوقفه بتدمير تركيا التي عبثت به وتسللت اليه وكانت تريد للمفاعل ان ينتج لها الطاقة العثمانية ..؟؟ والجواب سيكون: لايقتل المذهبية الا ان تقاتل المذاهب عدوا واحدا ..
وهنا دعونا نتحدث عن الواقعية التي تفترض أن اقتحام الجليل أو ضرب ديمونا خياران خطيران لان اسرائيل والعالم كله لن يسمح لحزب الله أن يفعل هذا دون رد عنيف .. ولايبدو هذا السيناريو واقعيا في ظل الظروف الراهنة .. ولا يجب تضخيم التصورات والامكانات للقيام بهذا المشروع الضخم وتكليف حزب الله به وهو لايملك حتى المبرر للبدء به .. لأن حزب الله في هذه الظروف لايمكن أن يقدم على المبادرة نحو اقتحام الجليل الا في حالة واحدة تمنحها له القيادة الاسرائيلية بيدها وهي أن تبادر اسرائيل بالهجوم على حزب الله .. فان حدث هذا فان حزب الله لايجب أن يفوّت فرصة ذهبية تأتي مرة في العمر كما حدث عام 2006 (عندما أعطت اسرائيل دون قصد الذريعة لحزب الله لامطارها بالصواريخ واذلالها) تنقله لتنفيذ الخيار “الضرورة” الذي قد تقدمه له اسرائيل نفسها هذه المرة أيضا ويمكنه عندها أن يحول الفخ الاسرائيلي لتدميره الى فرصة لاتفوّت لتدمير المفاعل المذهبي الطائفي التي تشغله اسرائيل في المنطقة وتلوثها بنفاياته التكفيرية الوهابية ..
ان من يحلل كلام السيد حسن نصر الله عن تحرير الجليل في احد الخطابات فانه يلاحظ أنه ربطه “بظرف ما قد تطلب فيه قيادة المقاومة من المجاهدين في حزب الله بالتحرك لتحرير الجليل” .. وهذا يعني أن الظرف المنتظر هو ظرف تقدم فيه المبررات الكاملة لتبرير التحرك أمام العالم وهذا سيكون في حال اطلاق اسرائيل عملية عسكرية عنيفة وشاملة ضد حزب الله او سورية أو ايران .. وتبدو اشارة السيد حسن نصرالله الى خيار ديمونا على أنها كلام رادع يحمل الانذار لاسرائيل التي يمكن ان تحرض ترامب على التحرش بايران أو مساندتها لتدمير حزب الله .. ويرى كثيرون ان كلام السيد نصرالله ليس لحماية ايران من تصريحات وخطط ترامب ونتنياهو العسكرية لأن ترامب قد يلغي الاتفاق النووي أو يعطله لكنه لن يهاجم ايران عسكريا على الأغلب .. الا أنه قد يساند عملية اسرائيلية ساحقة لتدمير حزب الله تتلو سقوط الاتفاق النووي .. لأن اسرائيل تدرك أن ايران من غير حزب الله يقل تأثيرها كثيرا على اسرائيل فتصبح مثل ليبيا أو الجزائر مؤيدة لفلسطين وعاجزة بحكم البعد والفاصل الجغرافي .. فاذا وقعت اسرائيل في غواية الثأر من حزب الله بعد اسقاط الاتفاق النووي فان هذا سيجعل ايران وحلفاءها غير ملزمين بأي ضبط للنفس وستطلق يد حزب الله في الجليل لتنفيذ الخيار الضرورة .. وسيكون التهديد الذي أعلن مؤخرا بضرب ديمونا سببا في ردع أي تدخل غربي أو ناتوي لحماية أو استرداد الجليل من حزب الله الذي أطلق معادلة ديمونا الرادعة ضد جنون وانتقام غربي من أجل اسرائيل في حال تحققت معادلة تحرير الجليل .. الضرورة تأتي من حقيقة أن حزب الله يجب أن يفكر في حرب تحرير الجليل عندما تتحول الحرب عليه الى فرصة له .. لا يستعيد بها الجليل فقط بل يستعيد موقع الحزب المقاوم الجليل ذي الشرف الرفيع الذي لايضاهيه أي شرف الذي عملت على تجريده منه ماكينات الاعلام الوهابي والاخواني .. شرف انجاز تحرير أول قطعة من فلسطين منذ احتلالها .. ودفن كل نفايات التلوث الوهابي والتكفير التي لوثت العقل العربي والمسلم ولوثت حتى الخلايا والدماء والمياه في الشرق ..
لاأعرف كيف تفكر الأقدار ولكنها ليست حمقاء بالتاكيد .. بل ان الحمقى هم الاسرائيليون الذين اعتقدوا في حساباتهم أن الربيع العربي سيطلق الربيع الاسرائيلي لأن الحرب السورية ستكون خاطفة واياما معدودات وينتهي كل شيء .. وتبدأ بعدها تصفية الحساب مع حزب الله ومع كل من قاوم يوما لاسدال الستار على نهج الممانعة التي بدأت بعبد الناصر ووصلت الى زمن السيد حسن نصرالله والرئيس بشار الأسد .. وكانت معركة القصير مفصلا وخبرا سيئا لاسرائيل لأنها أظهرت أن حكاية الأيام المعدودات لن تكون واقعية أبدا وأن اقتحام القصير أثبت تماسك محور المقاومة في أحلك الظروف .. ولكن لم يكن القادة الاسرائيليون يتصورون سيناريو أسوأ من سيناريو تحرير حلب بعد أن اعتقدوا أن حلب ربما تقصم ظهر النظام وان لم تسقطه .. لأن التوقعات المتفائلة والسعيدة كانت تتحدث عن معركة قاسية جدا وطويلة ستنهك الجيش السوري وحزب الله الذي قد يموت هناك بعيدا عن الجليل .. لأن خبرة العسكريين في اقتحام المدن سيئة ومريرة .. ولاتنتهي الا بصعوبة وطيف هزيمة بعد دفع ثمن باهظ .. ولكن الجيش السوري فعلها مع حلفائه ..
الاسرائيليون استفاقوا على حقيقة لم يضعوها بالاعتبار بعد معركة حلب وهي ان حزب الله سيتمكن من استعادة قسم كبير من قواته التي شاركت في تلك المعركة .. وقد تكون قريبا وجها لوجه مع الجليل تنتظر نهاية الحرب السورية .. ورغم الاختلاف البيئي والجغرافي بين جبهة حلب وجبهة الجليل الا ان الحقيقة التي لابد من الاقرار بها هي أن اقتحام الجليل اكثر سهولة بكثير من اقتحام حلب .. حيث ستوفر الأحراش والغطاء النباتي للمقاتلين تمويها ومظلات ممتازة عند الاختراق كما أن الاقتراب من المستعمرات سيحيد فاعلية سلاح الجو خاصة أن المساحة في شمال فلسطين ضيقة ومحدودة بالقياس الى معارك الحزب في سورية حيث الانتشار الواسع للجغرافيا المترامية التي تشتت قوى وكتائب الحزب الذي سيتكثف ويتركز بكامل قوته في جبهة ضيقة شمال فلسطين .. ناهيك عن أن التفوق في حرب المدن سيعطي حزب الله التفوق بلا منازع عند اقتحام هذه المستعمرات والمستوطنات الشمالية ..
ضرورة حرب الجليل تأتي من حقيقة ان حزب الله قد آذته الحرب المذهبية المفروضة عليه أكثر مما أوجعته حرب تموز وكل مواجهاته مع اسرائيل .. ويدرك الحزب أن اسرائيل كانت موفقة في اختيار المواجهة غير المباشرة معه عبر وكلاء المذهب الوهابي الذين سعّروا الصراع المذهبي واضطر حزب الله لكي يدافع عن نفسه وعن منظومته وسمعته وعن تاريخه الذي حاولت اسقاطه الحرب المذهبية .. ولكن لايمكن للحرب المذهبية أن تنتهي أو تتحرك بسرعة الا بحرب أخرى تلغيها .. مثل حرب تحرير أو مواجهة قومية تجعل الهم الطائفي أقل أهمية .. والحزب يرى أن من مصلحته تدمير الحرب المذهبية البشعة التي تشن عليه التي لن تتوقف من داخل لبنان ومن دول النفط التي تحقن الجمهور بالكراهية المذهبية بشكل متواصل .. فكما صار معروفا فان نصر تموز هو الذي جعل حزب الله متفوقا ومدرسة ملهمة للشعوب العربية التي اذهلها النصر الالهي ولم تفتش عن مذهب الحزب الذي انتصر لأنها نسبت الانتصار اليها واعتبرت الحزب جزءا من تركيبتها وثقافتها الاسلامية لأن مالدى الحزب من خلفية دينية لاهوتية له امتدادات وتماهيات مع الثقافة المنتشرة في العالم الاسلامي عموما .. كما أن نصر 56 المصري ضد العدوان الثلاثي الخارجي جعل الجماهير العربية ميالة لأن تنتسب الى النصر المصري لأنه واجه عدوا مشتركا للجميع وانتصر فانتمت الجماهير بعواطفها الى فكر المنتصر وهذا مانشر الدعوة القومية الناصرية بسرعة الى أن منيت بالهزيمة فانفض الناس عنها والتفوا حول أوهام كثيرة لاستبدالها ..
ان الأكاديميين العسكريين الاسرائيلييين لديهم قناعة ان حزب الله لن يجد طريقة اسرع لاستعادة مكانته الممانعة التي شوهتها المرحلة الاعلامية الحالية في الربيع العربي الا بنصر مبين وساحق ومذهل على اسرائيل يتوق اليه ويتحرق لانجازه اذا ماتلقف الفرصة .. نصر يضعه في مقدمة القوى العربية التي ستنال المجد وتكون انتصاراته سببا في تراجع المرحلة المذهبية لأن ايقاظ النصر على اسرائيل هو الوحيد الذي يرقأ الجراح ويسكت الأصوات التي تشوه الروافض المتهمين انهم يتآمرون مع الصهاينة والفرس على الاسلام وأهل السنة وفق المنطق الوهابي ويغسل اسم حزب الله مما ألصق به زورا من أنه لايريد تحرير فلسطين بل نشر المشروع الفارسي الشيعي بدليل انخراطه في الدفاع عن سورية التي سوقت عربيا واسلاميا على أنها دفاع عن طائفة ونظام حكم وهلال اخترعه ملك الأردن الذي ينتمي الى أم يهودية ..
الاسرائيليون يؤمنون بهذا الكابوس .. ومن يتابع المناورات الاسرائيلية يلاحظ أنها تتضمن عمليات اسعاف في المدن وعمليات اخلاء سريعة للمناطق المأهولة بسبب صواريخ أو تعرضها للاقتحام من قبل “ارهابيين” .. لكن هناك نشاطا محموما في الشمال لرفع السواتر والشراك وحقول الألغام .. يبدو أن المناورات القادمة ستكون من أجل اخلاء المدن المستهدفة بسرعة قصوى كي لايبقى مدنيون لتمكين سلاح الجو من ابادة القوات المهاجمة وتحطيم كل شيء على رؤوس المقاتلين ..
هل يمكن أن يحول الحزب أي هجوم اسرائيلي من ورطة الى فرصة؟؟ وهل هناك فرصة افضل من هذه؟؟ جيش تمرس على أقسى أنواع حرب المدن والاقتحام .. ومقاتلون منظمون وشرسون ومدربون تدريبا عاليا ولايفصل بينهم وبين الجليل الا سياج .. وحاجة ماسة لاطفاء حرب مذهبية تطهرهم من نفايات الاتهام والتزوير التي ألقيت عليهم .. انه السفر الى الجليل .. والمعراج الى النقاء الجهادي .. في رحلة بدأت من حلب الى ديمونا .. مرورا بالجليل ..
On November 11th Hezbollah held a military parade in al-Qusayr — a Syrian town that is just across the border from the largely Shia northern Bekaa Valley and that was the scene of Hezbollah’s first major battle in the Syria, and its first major success. Hezbollah holding a parade as part of its annual Marty’s Day celebrations, just outside its primary military base in Syria isn’t terribly shocking. And yet plenty were shocked when days later photos from the parade showing dozens of armored vehicles started hitting Twitter. 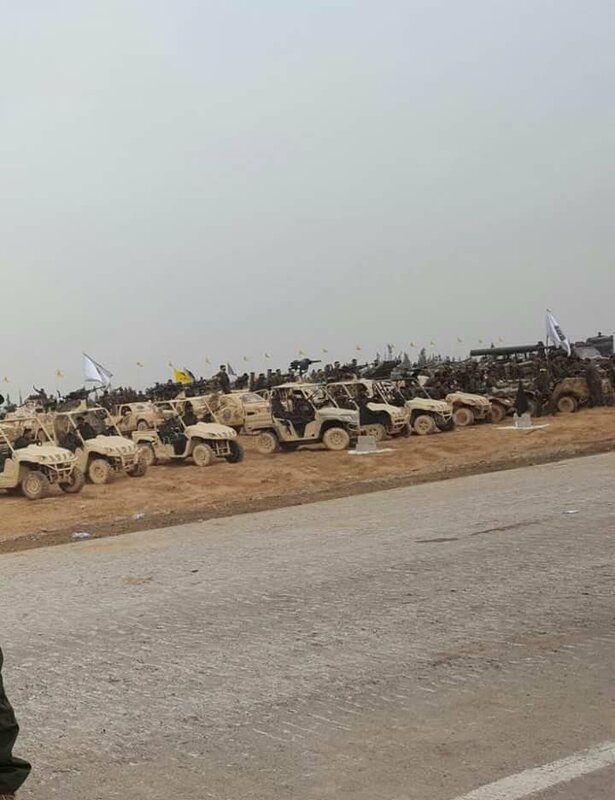 The images are quite stunning indeed showing that Hezbollah now operates enough tanks, APCs and self-propelled guns to equip a credible mechanized battalion. This is far more than anybody who isn’t on the ground would have estimated. For example four months ago the Israeli daily Haaretz ran a piece on how much better armed Hezbollah is in 2016 than it was in 2006. The piece even repeats the highly dubious claim the Shia militia now has Pantsir-1S air defense system but was nonetheless confident that “the terror organization doesn’t own planes and tanks”. 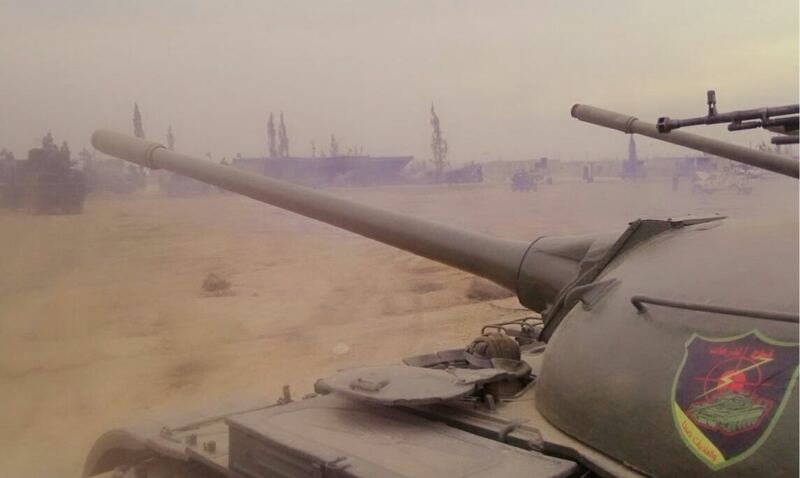 The tanks in the pictures are mainly T-54s and T-62s, but also a few T-72s with reactive armor. The APCs are almost exclusively the BMP-1 model, along a few US-made M113s armed with a Soviet-made double 14.5mm machinegun. It was the M113s that got the parade into The Washington Post. The paper asked if these machines might not be from Lebanese army stocks. In fact they are almost certainly vehicles Hezbollah gained in the collapse of the Israeli-aligned South Lebanon Army in 2000. Pictures also show at least three 2S1 Gvozdika 122mm self-propelled howitzers and two ZSU-57mm self-propelled anti-aircraft guns. There are is also a smattering of Soviet anti-aircraft guns, mainly mounted on flatbed trucks but also two or three installed on a GM-578 tracked vehicle chassis which originally carried the 2K12 Kub anti-air missiles. In sum this is a makeshift, improvised battalion. All of the equipment is venerable, some of it positively ancient. That said old doesn’t necessarily equal ineffective. Fact is going into battle supported by old armor and old large-caliber weapons is immeasurably better than going into battle by foot alone. Besides these weapons aren’t really outdated in the sense that the enemy doesn’t have better equipment either — if anything the rebels are faced with an acute shortage of armor and artillery. The vehicles may be knocked out by guided anti-tank missiles which the rebels have an ample supply of easily enough — but this is true even of the heaviest and most modern tanks, there is enough footage of Saudi M1 Abrams tanks lighting up like a candle after a hit from a Kornet in Yemen to attest to that. As said a few of the vehicles Hezbollah brought with it from Lebanon, a few more are likely trophies. Their sheer number however means that majority must have been handed over to it by the Syrian army. This is certainly going to benefit the overall war effort of the pro-government side as only the best Syrian units can match the professionalism and skill of Hezbollah. It certainly makes sense to distribute the best of your military capital among the most elite formations on your side — particularly if they’re not tied down to a specific locality but willing to participate in decisive battles across the theater. What may have prevented the Syrians transferring these machines earlier was Hezbollah’s lack of experience with them. As someone who did a two year stint in heavy industry and went from a hopeless rookie to a half-useable machinist I can attest to the fact that when it comes to operating and maintaining giant machinery enthusiasm and even courage are extremely poor substitutes for knowledge and experience. The most significant consequence of Hezbollah’s new mechanized battalion may very well be the experience the group gains. 50-year old tanks are nothing you would want to match against Israeli armor and jets but they can be enormously significant for the group in a different way. Once the war is over and the armor is no longer needed at the front a dozen tanks is enough to train up hundreds of crews. What is now Hezbollah’s mechanized battalion in Syria may very well go on to become its tank training school in Qusayr. Should the Shia militia then ever go on to acquire more modern armor it will already have people three-quarters ready to jump into them. The fact the militia held onto a few relatively puny M113s for fifteen years that were of no use to it in the conflict it actually fought in that time may very well be a sign it takes a very long-term view and values armor pieces for a lot more than their most immediate utility. Hezbollah showed in 2006 that it is probably the most professional non-state war fighting organization in the world. Having acquired armor it is now also one of the best-equipped. It is ironic but since the 2003 start of the half-assed and hare-brained US project to make the Middle East safe for Israel Iran, Israel’s only near peer competitor in the region, has been provided a useful ally in Iraq, and Hezbollah, the only credible fighting force on its borders, has been gifted the opportunity to develop an armored branch. A further irony is that Hezbollah may not have even intended to shock the world in this manner, but would have been happy to keep its armor under wraps for a while longer. Firstly, the war-torn al-Qusayr is largely abandoned so the armored display there certainly wasn’t put up for the benefit of Syrians but for militia’s own morale. 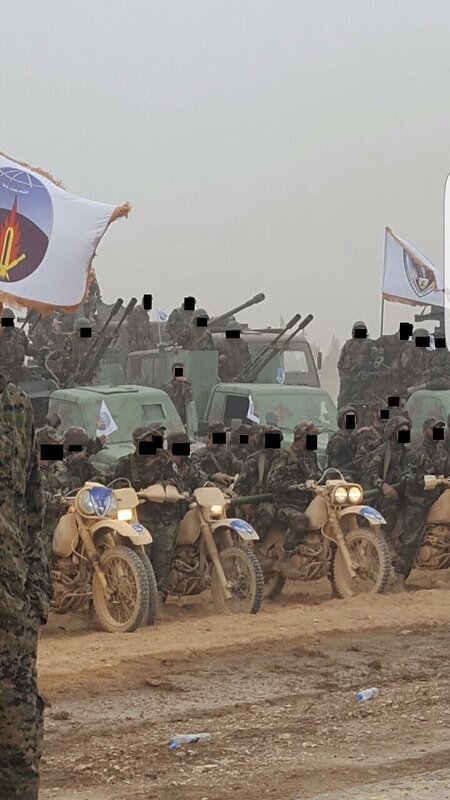 Furthermore, any photos Hezbollah normally releases are carefully redacted, for example the faces of its fighters are blacked out — this is not the case with many of the images from the parade, implying these are private photos taken by the rank and file to show off to friends and family that ended up on the Internet. A rare slip up in the group’s discipline then, but one that Syria watchers will be grateful for. Hezbollah’s intervention in Syria has been criticized by many in the Arab world as a sign that “they have abandoned resistance to fight fellow Muslims.” Their recent qualitative operation in Sheba’a against an Israeli military convoy, however, serves as a reminder that the movement has not shifted its focus away from Israel and is able to fight on several fronts simultaneously. Hezbollah’s continued prioritization of its resistance activity, while entangled in multiple military theaters across the region, indicates that it has transcended its original, singular mission of resisting Israel. Confronting Israel is now one role among several others Hezbollah has assumed in the post-uprising regional political order, which has ushered in the rise of takfiri-jihadism. Outgrowing its resistance role, Hezbollah now assumes responsibility for guarding Lebanon’s borders, facilitating homeland security and counter-terrorism, as well as counter-insurgency operations in Syria and Iraq. The resistance, by no means over, has now morphed into a transnational Resistance Army whose core identity and mission remain tied to its raison d’être of resisting Israel, but which is also committed to protecting the Resistance’s “backbone” as Nasrallah describes it. To that end, Hezbollah has sought to wrest Syrian, Lebanese and Iraqi territories from jihadist control. In essence, Hezbollah is confronting a transnational insurgency that seeks to expand its proto-state, by transnationalizing its resistance in turn. Just as the movement conventionalized its guerilla warfare in 2006 with its new “hybrid” resistance paradigm, which fuses conventional and unconventional methods, it has now created a new model of counterinsurgency in which its own irregular, hybridized Resistance Army seeks to suppress the insurgent activity of another hybridized irregular force. The destabilization of both spheres by takfiri-jihadists has compelled Hezbollah to transform itself into a post-resistance movement. The war with ISIS and al-Nusra Front is viewed as an existential battle with an annihilative and uncompromising force that is hell-bent on eliminating all Shia, and by extension, the Resistance. While takfiri ideology is not politically delegitimized in the same way that Zionism is, nor is its right to exist as a religious doctrine questioned, takfiri militancy or jihadism is unequivocally equated with Israel. Hezbollah’s discourse likens the danger posed by ISIS and Nusra to Israel’s; in one speech, Nasrallah invoked Israeli oppression as an analogy for the potential loss of land, destruction of homes, capture of women, killing of children, and humiliation that the jihadists could inflict. In his “Resistance and Liberation Day” speech last year, Nasrallah even went beyond this analogy when he drew parallels between the mass migration of Jewish settlers to Palestine sponsored by colonial powers in the twentieth century and the mobilization and deployment of jihadists in the region, which he argued had been facilitated by modern day imperialists. Jihadists are not just morally and politically equated with Israel, according to this interpretation, but strategically linked, as well. ISIS is portrayed as being the witting or “unwitting” servant of the US-Israeli scheme to divide the region and foment strife, while Nusra — whose military and intelligence cooperation with Israel has now been well documented by the UN and Western mainstream , as well as Zionist media — is considered the jihadists incarnation of Israel’s collaborationist South Lebanon Army (SLA). It is on this basis that Hezbollah does not view the US-led coalition’s strikes on ISIS targets in Syria and Iraq as anything more than a “declawing” operation designed to “contain” the organization, rather than defeat it. While empirically supported arguments such as these have enabled Hezbollah to intellectualize its war against jihadism as an extension of its resistance campaign, the nature of its military intervention in Syria and Iraq has required it to reconceptualize and expand its concept of resistance warfare qua warfare. Resistance has now been stretched to encompass military strategies which have not traditionally been associated with classic guerrilla or resistance warfare — fighting groups that don’t qualify as occupation forces, defending allies outside its national borders, and adopting counter-insurgent warfare. Advancing into enemy territory or territory contested by an adversary on the soil of an allied neighbor, is neither typical of armed resistance movements nor of a defensive military strategy, unless one views it as an act of “preemptive” self-defense as Nasrallah accurately described it. Fearing a jihadist onslaught into Lebanese territory, Hezbollah has subscribed to the old adage that “the best defense is a good offense” in Syria and to a more limited extent, Iraq. In 2013, Hezbollah’s military role in Syria shifted dramatically from a small advisory mission to a direct combat role involving a large numbers of fighters. Starting with Qusayr, Hezbollah’s expanded military presence helped the Syrian government regain traction in areas which had been lost to rebel control. In fact, the ground assaults in Qusayr and Qalamoun were essentially led by Hezbollah forces, while the Syrian army provided artillery and air cover for its senior partner. Moreover, according to the Syrian Observatory of Human Rights (SOHR) Hezbollah is currently taking “the initiative to lead [Syrian] army and Iranian forces in the triangle of territory linking Daraa, Quneitra and the southwest of Damascus provinces.” In other areas such as parts of Damascus, Eastern Ghouta, and Kassab, Hezbollah forces engaged in direct combat alongside the Syrian armed forces, improving the latter’s combat performance. In Homs, Aleppo and the Golan, Hezbollah deployed special operations forces to assist, train, advise and organize Syrian regular forces and paramilitary NDF forces. Given the movement’s combat experience in unconventional warfare, and its training in urban warfare, Hezbollah’s special forces unit has served as a significant force multiplier for Syrian troops. Hezbollah’s military intervention in Syria and Iraq has fundamentally recast its classic resistance role and placed it on a par with its long-time mentor, Iran’s special operations, Quds Force, itself an active partner in Syria and Iraq. Extraterritorial operations like these have usually been the province of major powers, rather than non-state actors who have customarily been the recipients of such assistance. As defined by the United States Army Special Operations Command, unconventional warfare usually “involves external parties aiding indigenous actors against governments. Such aid can involve training, organizing, recruiting, operational advising…” In other words, special operations forces affiliated with conventional, state armies have normally been deployed to assist unconventional forces rather than the other way around. Hezbollah’s military intervention in Syria and Iraq has fundamentally recast its classic resistance role and placed it on a par with its long-time mentor, Iran’s special operations, Quds Force, itself an active partner in Syria and Iraq. In the post-resistance phase, the politics of resistance has been supplanted by the politics of the Resistance Axis. The strategic alliance between Iran, Hezbollah, Syria and Iraq is now characterized by a unity of military forces and a unity of military theaters vis-à-vis ISIS and Israel. This new regional security architecture has dire implications for Israel. In the next war, Israel not only has to contend with offensive military operations in the Galilee and “beyond the Galilee” as Nasrallah recently promised, but also with the potential involvement of other members of the Resistance Axis, particularly Iran. As the region-wide war with takfiri-jihadists has demonstrated, any Israeli aggression on Syria, Lebanon or Iran, will be viewed as a war against the Resistance Axis as a whole. Amal Saad is a Lebanese academic and political analyst. She is the author of Hizbullah: Politics and Religion, published by Pluto Press. The views expressed by the author do not necessarily reflect Al-Akhbar English‘s editorial policy. If you would like to submit a thoughtful response to one of our opinion pieces, send your contribution to our submissions editor.